Tokina Lenses Price in Pakistan.Tokina has become a partner of Pentax, a division of Ricoh, and has agreed to jointly develop some lenses. These will be available under the Pentax brand in Pentax K mount and under the Tokina brand for all other lens mounts. However, the research center, design and engineering teams of these two companies are completely independent. The Tokina Lenses co-developed lenses share main optical designs but have different barrel structures and coatings. They also have some other different features. For example, the Tokina AT-X Pro 12-24mm II comes with built-in silent focusing motor, while the Pentax version has screwdrive autofocus. Another example is that Tokina AT-X Pro 16-50mm and 50-135mm have only screw-drive autofocus and no weather-sealing, but Pentax versions have both features. Another difference is the procedure for switching between manual focus and auto-focus. With Tokina’s “One-touch Focus Clutch Mechanism”, you move the focus ring forward to enter auto-focus mode, and backward to enter manual-focus mode. With Pentax’s “Quick-Shift Focus System”, introduced in early 2004 with the DA 16-45mm f/4.0, you just rotate the manual focus ring while staying in auto-focus mode. Sigma and Nikon now have systems similar to Tokina and Pentax, respectively. As of March 2009, the six lenses co-developed and released in both Tokina and Pentax versions are the AT-X Pro 12-24mm f/4.0, AT-X Pro 16-50mm f/2.8, AT-X Pro 50-135mm f/2.8, AT-X 10-17mm f/3.5-4.5 fisheye, AT-X Pro 100mm /2.8 macro, and AT-X Pro 35mm f/2.8 macro. 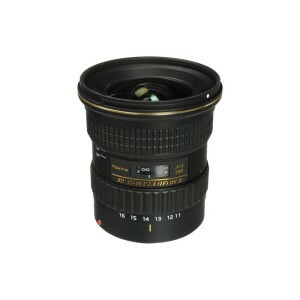 The last Tokina lens released before the collaboration was the 28-70mm f/2.8, in 2002. The currently available Tokina own-designed lenses are the 11-16mm f/2.8, 80-400mm f/4.5-5.6, 16.5-135mm f/3.5-5.6 and 28-80mm f/2.8.